Are you looking for a reliable and affordable WordPress hosting? As WordPress powers close to 30% of the websites in the world, the number of cheap and high-end WordPress hosting has grown in numbers in the past few years. 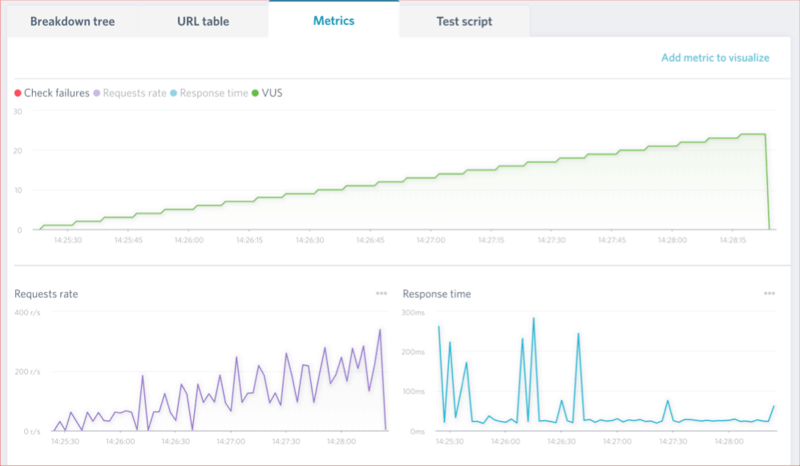 In my career of 10 years, I had to move ShoutMeLoud almost seven times and every time, picking a new WordPress host and migrating is a tedious task. Well, all these efforts eventually paid off regarding crafting this guide for you to help you pick the affordable WordPress hosting which is not only affordable but offers high-quality hosting so that you could focus on what you are good at. Latest PHP: PHP 7.2, 7.3 is a must as it has a great advantage over the predecessor and makes your WordPress function faster. SSL Certificate: Google has made it public that SSL certificate is a ranking factor. The WordPress web hosting companies that I have listed below are the one that offers easy to integrate SSL certificate and also free. 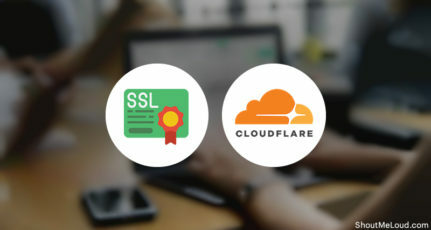 Many Webhosting services charge for SSL certificate even from bloggers which is not required and innocent users loses a lot of money due to this. Customer support: A decent customer service is not enough because when our website goes down, it’s a panic mode. A reliable hosting should offer excellent customer support and something you should expect from day one. Server location: Load time of your WordPress website has a direct impact on the search engine ranking. This is why, it’s highly recommended to host your website closes to your target audience. For example, if your target audience are from USA, your website should be hosted on a server in USA. Similarly, if your audience is in India, it’s better to pick a hosting that offers data center in India. Apart from these, a few features like hosting space, bandwidth and easy to use control panel is icing on the cake. Most of the time new users make the mistake of buying the plan which they don’t even need. If you are starting a WordPress blog and you’re shopping for a hosting service, my advice would be to get a shared hosting plan which is not only inexpensive, it is also perfect for a new WordPress blog. Such a plan will be at least 50% less expensive than other forms of hosting such as managed WordPress hosting or VPS hosting. Overall, you should consider the cost per month you are ok paying for hosting. For a shared hosting anything from $2.95 to $6 per month is a cheap buy that makes you a winner. In this post, I have shared good and cheap WordPress hosting companies which should fit perfectly into your budget, whatever your budget may be! 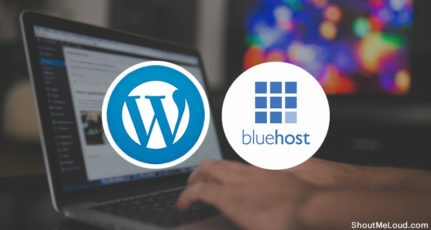 In the following paragraphs I will be giving you various excellent options for inexpensive WordPress hosting companies, but if you are simply looking for a single recommendation, I would suggest that you go ahead and sign up for Bluehost (discount coupon added in the link), and follow this guide to get your WordPress blog up in the next 30 minutes. I was once a “newbie” in the online world myself, so I know that it is helpful to create a resource containing lists of quality, inexpensive WordPress hosting. In the following paragraphs, I will offer just such a list, allowing you to see your various options and the cost (or lack of cost!) associated with each. 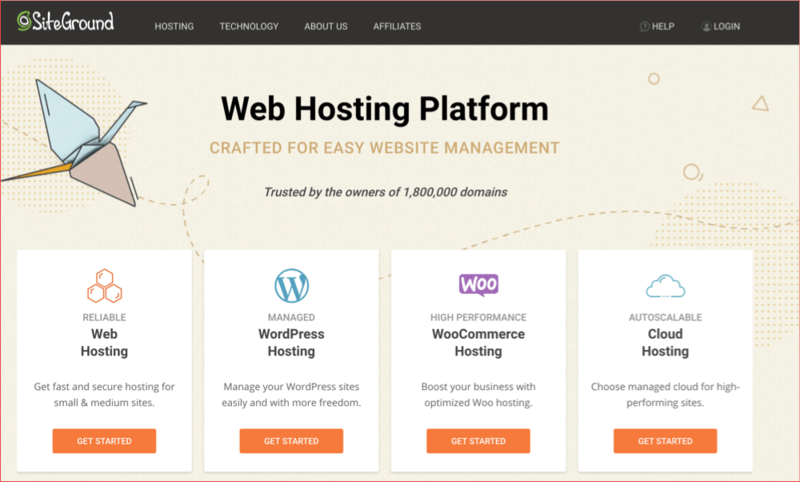 Conclusion: Which of these inexpensive WordPress hosting service should you use? Here I will list only those hosting companies which are created for hosting WordPress website and are also the cheapest. I am currently using SiteGround for few of my niche WordPress blogs which does not require high traffic. This is another cheap WordPress hosting service on the list, that offers outstanding support and server quality. SiteGround offers various hosting packages, but for a beginner, I would suggest starting with Growbig or Growgeek hosting plan. This makes it easier for clients to quickly upgrade to a higher server package when their site’s traffic increases. Bluehost is the top recommended low cost WordPress hosting, and it is also the most affordable WordPress hosting available to you. They offer various hosting packages, or you can simply grab their shared hosting plan (Prime) which offers 50GB space and unlimited bandwidth and a free domain at the cost of $2.95/month with this discounted link. The basic plan is idle for hosting one WordPress site and if you are looking for hosting multiple WordPress websites, then opt for plus package. What makes BlueHost the idle choice among cheap WordPress hosting is their offering. They offer a Free SSL certificate which is a crucial search engine ranking factor. Apart from this, they have an inbuilt caching mechanism which is very effective and help you load your WordPress blog faster. None the less, you have to deal with one less plugin with their in-built endurance caching technology. 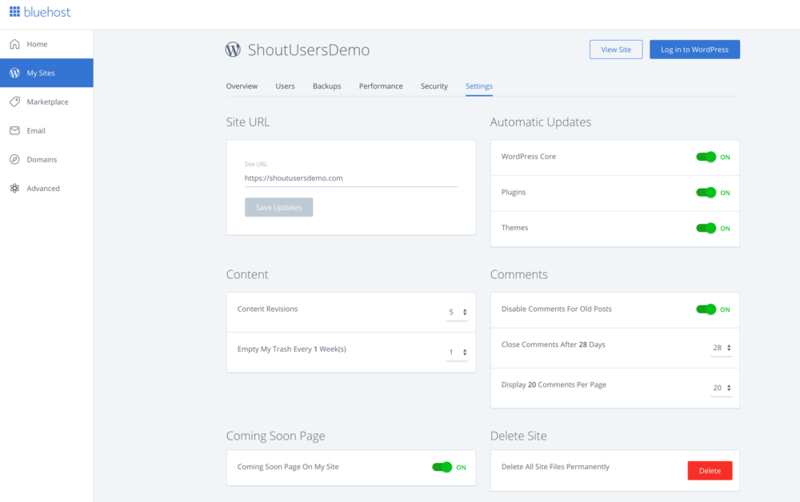 Recently, Bluehost has revamped their dashboard and added new tools that will effectively let you manage your WordPress site. Below image is taken from Bluehost Dashboard and you can see that various WordPress setting which could be configured directly from Bluehost dashboard. I have four WordPress blogs hosted on Bluehost, and many of them are seeing the traffic of close to 10,000 hits per day, and yet Bluehost ensures that my sites never go down! Basic ($2.95/month): Idle for hosting one website. 50GB storage and unlimited bandwidth. 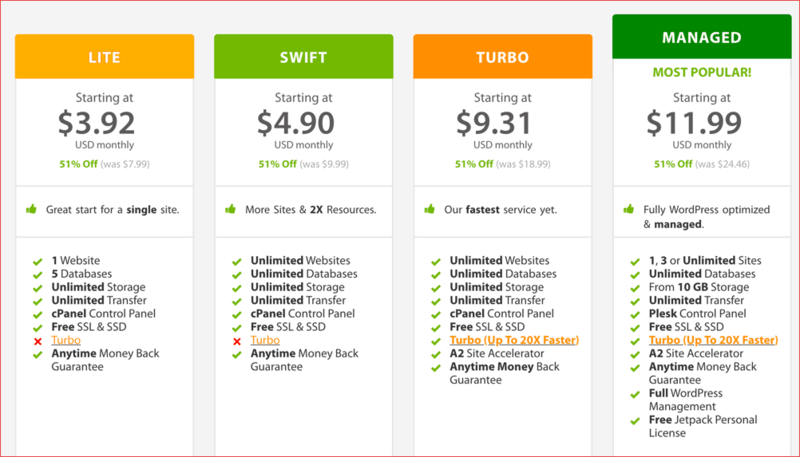 Plus ($4.95/month): Host unlimited website, unmetered hosting space, and bandwidth, unlimited email accounts. 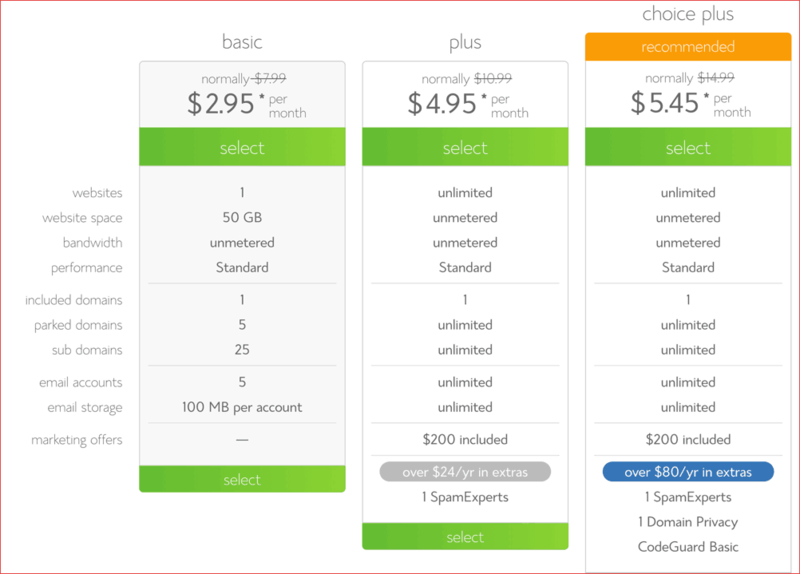 Choice plus ($5.45/month): Everything on plus plan and Codeguard basic is additional. InMotion Hosting is a Los Angeles based Web-hosting company which is popular for their excellent customer support & server quality. They are a non-EIG hosting company that offers unlimited hosting storage + bandwidth. What I like most about them is their friendly support & especially for one who is looking to host a WordPress website in the U.S.A, InMotion Hosting is an idle choice. A2hosting is the new entrant into our low-cost WordPress hosting guide. They have been innovating a lot and offering cutting edge features to host WordPress website. They offer free solid state drives (ssd hosting) and unlimited hosting which is every new blog needs. Their inexpensive WordPress hosting plans starts from $7.99 which is now available at 51% discount and costing only $3.92. Especially if you planning to move from an existing hosting to one of these cheapest WordPress hostings, A2hosting is an idle option as it offers free website transfers. They also offer one-click WordPress installer which is handy. They are one of those hosting, that offers monthly payment option as well. 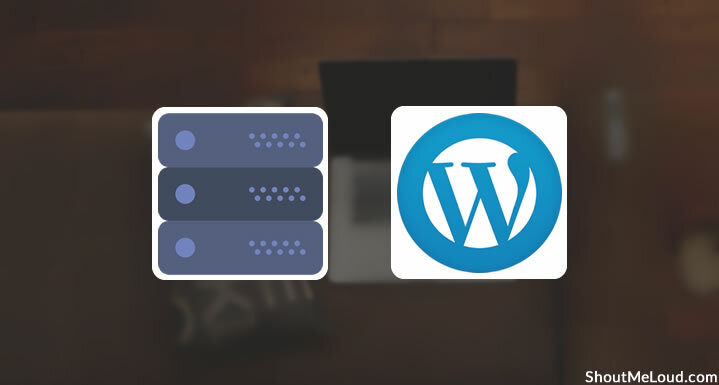 When it comes to affordable WordPress hosting, there are plenty of options, and it would not be wise for me to pick just one, as each of this WordPress host offers something unique. SiteGround and A2hosting are the two cheapest WordPress hosting that you can pick from. They have been innovating many new things including inbuilt cache which is something highly useful for new users. 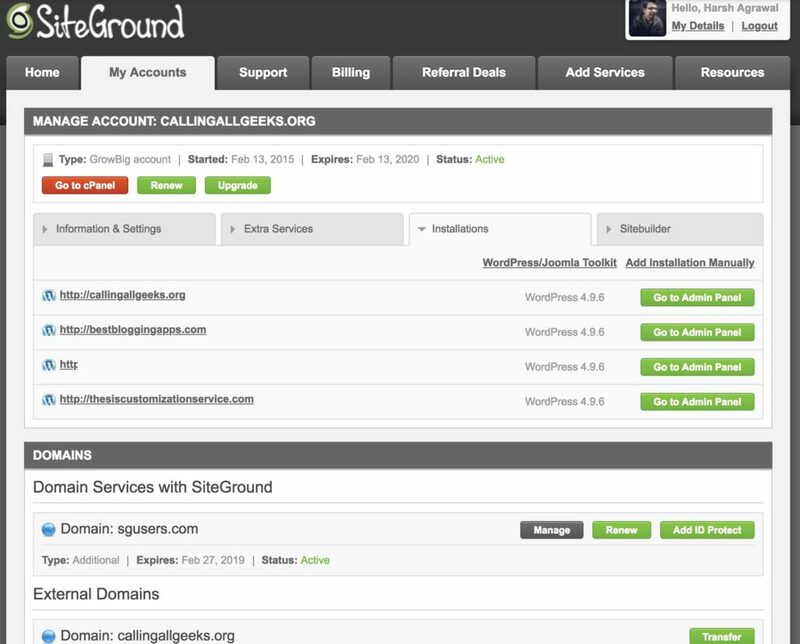 SiteGround is another web host which is next to Bluehost because of their offering and the quality of customer support. The only place where they lack in comparison to Bluehost is the server limit. Bluehost offers unlimited web-hosting bandwidth which is not the same in the case of SiteGround. A lot of this could be taken care of by using a free service such as Cloudflare, but again that’s for people who have a little geek inside them. These are the inexpensive (cheap!) WordPress hosting services currently available to you at the time of the writing of this point. These can be purchased at a super affordable price, and they offer good reliable quality service. Here is some more information for you to study regarding the pros and cons of the following three hosting services. 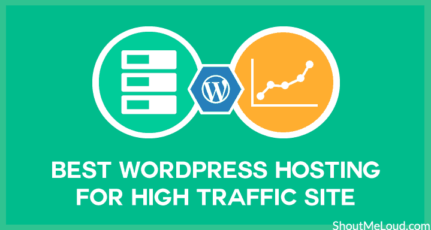 Read: Which is the Top WordPress Hosting for High Traffic Sites? You can also join our newsletter to continue receiving similar information, advice, and recommendations! Have I read this correctly? The Shared Hosting servers you mentioned (BlueHost, HostGator, ) won’t hit server resource limits with 20,000 visits a day?!?! If’s that is true, then please enplane how you are able to do this? I’m beginning to think it’s a tactic to get your visitors to subscribe to the said hosting so you gain an affiliate commission. Dirty tricks “IF” this I’m correct – Happy to be proven wrong. Do remember, if your WordPress blog is not optimised, even a good VPS will throw error many times. Also ensure to clean up your blog database on regular basis, that helps a lot. Yes I understand the Magic is to optimize a WordPress Site. What you end up with is a WordPress website in HTML. Therefore the Hosting server only has to deliver HTML and direct the browser to the Content Delivery Network to download heavy content such as images or videos. I’m now a little excited and hopeful you will blog on how you do it in detail. Nice Article, helpful for hosting company decision. Sir, i wanna to know which of these companies built-in SEO package which on or off page SEO automatically or more relevant ? My suggestion would be to stay away from it, as these SEO addons/services doesn’t really do much. Rather hire some company which is specialised on SEO. Currently my blog brideeveryday.com is hosted on godaddy.com, it’s hosting service is getting expired in mid June. I am planning to change the hosting provider but unsure of how to take the full website backup before doing the same. Can you please tell me how should I take the backup of my wordpress blog? That’s an off-topic but it’s important so let me quickly answer this. Google recently announced that https is now an official ranking factor so it’s important for any website to offer https. This is to make web more secure. I will do a detailed write-up on this soon. I am planning to start my own blog related to education. I do not understand the technical aspects of blogging or web hosting. I am based in Guwahati and prefer an India-based host where I can pay in Indian rupees. I am looking for a multiple domain plan. I decided to go with Bluehost but now I am in confusion. Can you please suggest Bluehost or Hostgator? Which among two is the best and can easily cator high audience and with no downtime? On Hatchling plan you can host only 1 website. I would recommend you to buy Baby plan, which let you host unlimited websites. One word of caution about hosting multiple websites on a single shared hosting plan – if the server goes down (or they take your down for exceeding bandwidth limits), then ALL your sites will go down. It happened to me on Hostgator before I moved to a VPS. I am an education professional. I plan to start a blog on educational issues,parenting and other articles. I had hosted my earlier website with the Mumbai based company but payment etc was a problem, and we did not get the admin rights, so to update a small thing we had to contact them. I need your recommendation for a host that will be affordable, payable in INR in India, preferably, Guwahati or can send by draft, and simple enough for me to use and update. Also how will I ensure traffic to my blog? Thanks that Godaddy is not in this list. i have many bloggers said good thing about them but no it’s not true. Godaddy hosting is slow and very irritating. I am planning to move from it and i think hostgator might be a good choice for me. Feels like m stuck in hosting-hosting game. lol 🙂 ,, Thanks again for info. Great hosting, it also offers UNLIMITED email accounts for the same price! Thanks for sharing although I was actually looking for affordable SSL certificate (or https) service to look for. Great list of the hosting plans. From my personal experience, I will recommend HostGator hosting plan. I am using HostGator Hatchling plan for the last 4 years and I did not face any issue with this hosting provider. The customer service is 24×7 and they have live chat option. You can easily contact with any of their online staff. Also the blog loading speed is fast. Another most important point is their low downtime. I also love their one click installation. From HostGator cPanel you can also check your traffic analysis. This feature is not that focused but I really loved that feature. What about Inmotion. They are also a good WordPress shared hosting provider. All of the hosting you mention belong to EIG and all are same. I have To Pay $3.49 per month ya Phir $125 yearly pay karna padega ? 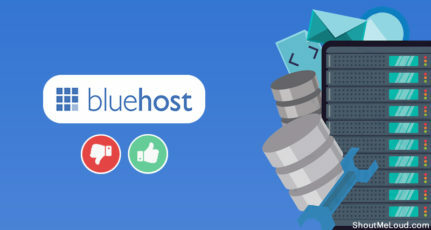 Bluehost offers three options for starters plan, $4.95/month for a 1-year hosting plan, $3.95/mo for a 2-year plan and $3.29/month for a 3-year plan.I would suggest you to go for there 3 years plan which will help you save money. You can use this link to buy hosting. 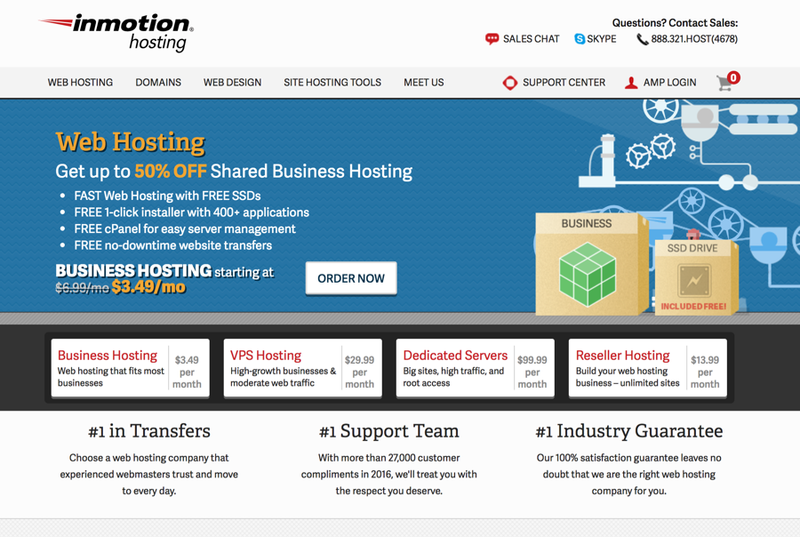 What is your opnion on inmotion hosting. It’s decent. Haven’t faced any problem with them yet. They are offering 3 package with your recommended link 3.49,5.95 and 13.95 . But when i am selecting 13.95 it showing price on signup page 18.95 .Can you please tell me whats wrong i am doing? Is it good for 20k visits per day?? Sir can you tell me which hosting should i use for 20k traffic per day? I think free hosting sounds good but not for pro bloggers, who have a large number of readers, free hosting can be down any time and they are not responsible for that coz u never paid fr that so u can’t claim anything. But however, if you are a beginner then you can start with it. Great list of the hosting plans. From my personal experience, I will recommend HostGator hosting plan. I am using HostGator Hatchling plan for the last 4 years and I did not face any issue with this hosting provider.